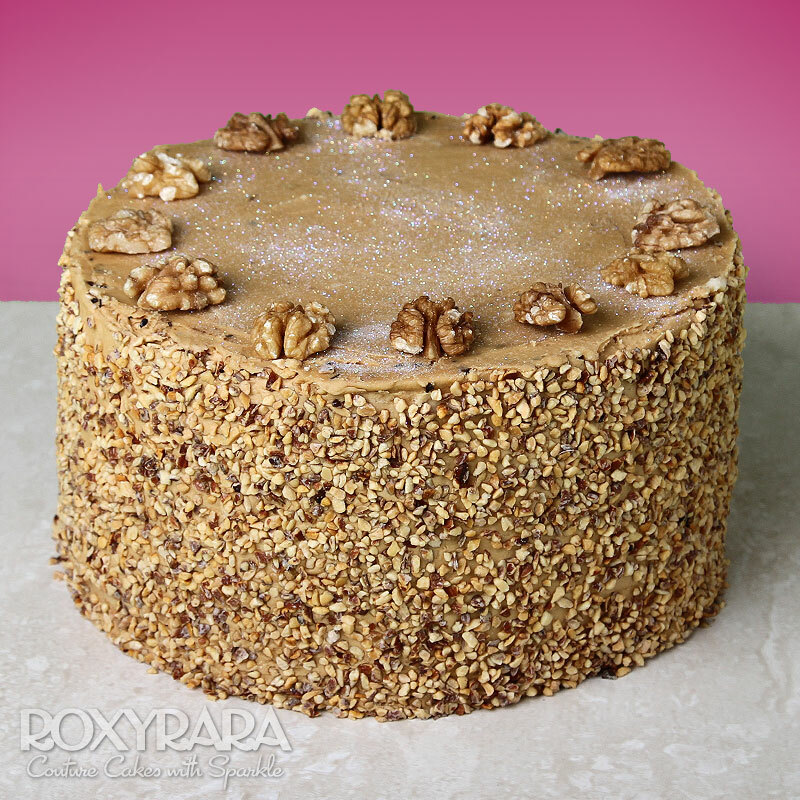 A light walnut filled sponge slathered in the most delicious whipped coffee buttercream; topped with crushed and whole nuts. Perfect for all coffee and nut lovers! Add a personalised message and firework candle for a birthday treat!